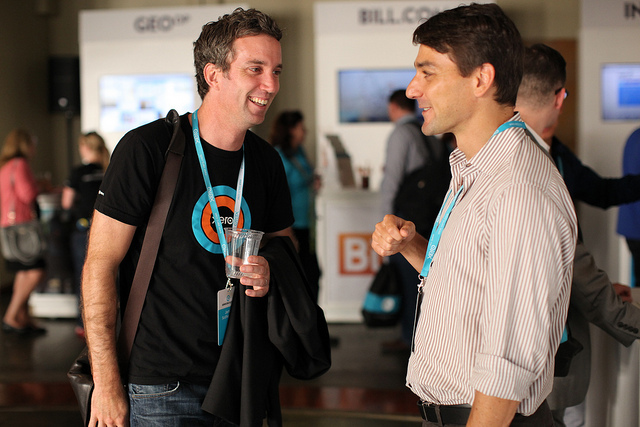 Xerocon 2014 is getting closer, and that means it's time to dust off your best "conference face" and get out there. Yes, I'm talking about networking. Specifically, networking a large, industry conferences like Xerocon. Bookkeepers and accountants are often seen as numbers geeks. And, although you definitely know how to have a good time, chances are high that, as a numbers geek, you are a bit of an introvert at heart. As an introvert, networking seems like a daunting task. You have to go up to people you've never met before and strike up a conversation – not once, not twice, but several times over a single weekend. It can be completely out of your comfort zone, and is enough to drive us terribly introverted people away from conferences altogether. But never fear, for I have compiled a list of my favourite tricks for networking at conferences as a bit of an introvert. Give some of these a go at Xerocon and let us know how you get on! Is there anyone in particular you want to network with? Have a look at the speaker roster in advance and note down any people you'd like to connect with. Being strategic about the relationships you pursue is rule number #1 for conference success. Sitting down before the event to think about your networking strategy gives you a chance to set goals for yourself. Those goals might involve investigating new add-on partners, certain people you want to talk to, or a number of attendees you want to approach for networking. Setting goals is a great way to focus your attention on a few key areas and ensure you get your money's worth from the conference. When talking to different people around the conference, you're always going to be asked two questions: "Who are you?" and "What do you do?" And whoever you're talking to has asked these same two questions to so many people over the weekend, he/she will probably not even remember you answer anyway, right? Wrong! Prepare your introduction in advance, so that when you talk to new people you can wow them. By creating a memorable introduction (called your "elevator pitch", because it should be short enough to speak to someone in an elevator ride), you'll gain confidence in networking and ensure that everyone you speak to will remember who you are! Keep it short – 2-3 sentences. This way, it will be quick and snappy and easy for you to memorize. Say your name twice. This increases the chance that people will remember you. (AKA: The Forrest Gump Networking Method). Instead of answering this question: "What do you do?" Answer this question: "What makes me awesome at what I do?" Focus on your point of difference in the market. Practice in front of a mirror or a friend or partner until you have your pitch memorized and you look confident when speaking it. Go out there and get networking! 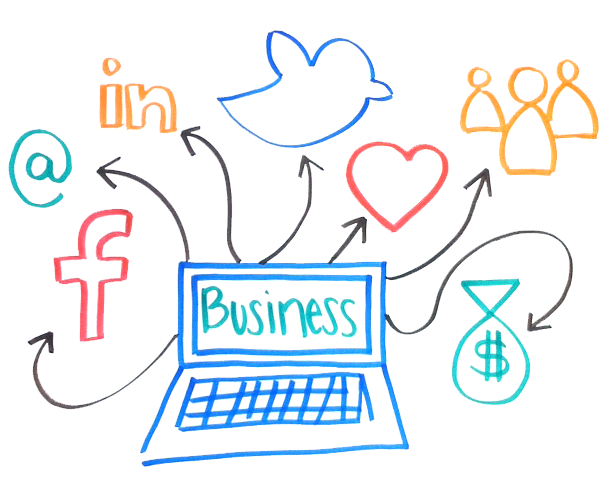 Use social media to connect with attendees before the conference. A great way to ensure you get the maximum potential from Xerocon is to connect with people before you go. You can set up a pre-conference dinner or lunch date, or simply follow some of your fellow attendees on Twitter or Facebook. Getting in touch with other attendees, or reaching out to presenters, before the conference will not only improve your networking, but for shy people like me, it means you already have someone to talk to! So how can you get in touch with other attendees before Xerocon? Contact attendees on Facebook or Twitter. Create a Facebook group for Xerocon attendees. Organise a meet up of attendees in your city / area. Connect with select speakers over Twitter. Send in questions in advance to panels. Arrive at the conference a day early and meet with other attendees. Find ways to add value to other attendees experience. 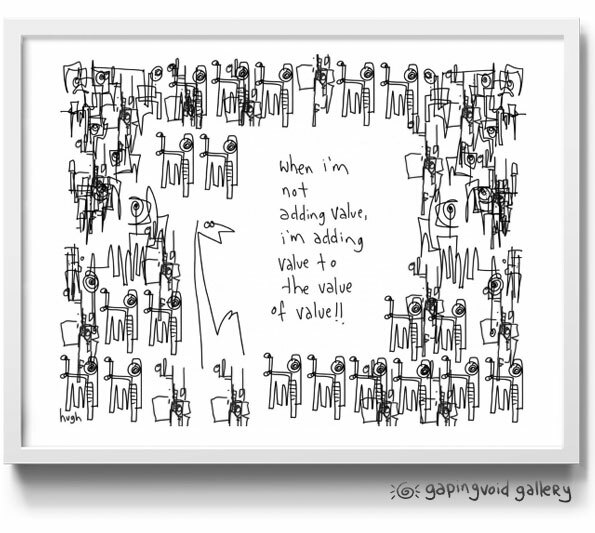 A great exercise to do before attending Xerocon is to ask yourself what value you can provide to other attendees. Are there people you can introduce others to? Do you have a revenue stream you can teach others about? Do you have a unique marketing idea to share? Think about what you've done that's made your business successful, and be prepared to share the details with other attendees. You want people to remember you as "that nice, helpful person who had all those brilliant ideas / introduced me to my next receptionist / showed us how to solve our workflow problems." Arrive to events early to networking one-on-one. This is one of my favourite tricks for conferences. I am better at one-on-one networking with a small number of people than working a huge room. I will show up early for panels, speakers and workshops – 10-15 minutes before the start time – and wait in the empty room. I might read over my notes, or chat to the speaker, or help them set up, and whenever someone else comes in I'll strike up a conversation with them. This is a great way to meet people one-on-one at a busy conference (especially if you're shy – as fellow shy-people will often go to modules early). After the session, you'll have someone you know who you might be able to sit with during the next event. If you're on a budget or you live in the city, you can skip this step, but many people find staying at the conference hotel with other attendees vital for successful networking. After all, at Xerocon you'll be running around, heading off to different modules, and trying to talk to all the add-on partners. 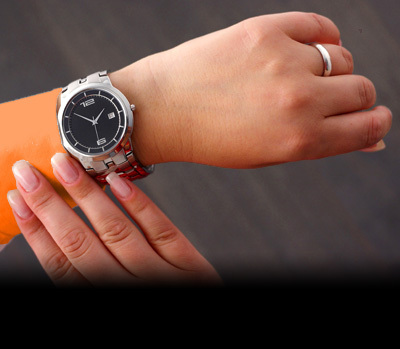 You might not feel you have time for in-depth networking. By staying where everyone else is staying, you can go out for dinner with other attendees or meet for drinks in the bar. You'll see them over breakfast and (although I'm not sure if this is a good thing) working out in the gym. You can even share a room with another attendee to cut down on costs – also, a great way to get to know someone up close and personal! Hobbit ears are very good for listening. This is an excellent tip for anyone who, like me, is a bit of an introvert, and not so keen on swinging from conversation to conversation like a great extroverted chimpanzee. If you feel really uncomfortable being in the limelight, then focus on one-on-one conversations, instead of the livelier group discussions. Ask lots of questions – especially questions that require more than a yes/no answer – and focus on remembering details about the person you're talking to and really getting to know him/her. A good rule of thumb is to listen twice as much as you talk. People love to talk about themselves, so it should be easy once you get going. Often, getting to know two or three people on a deeper level will be more beneficial than having fleeting connections with forty people. Study how your body language influences other people's perceptions of you. Smile and shake hands firmly. Point your feet toward the person talking. Have you hands are your sides, holding a drink, or free to gesture and greet others. Cross arms or "self-hugging" shows a person is insecure or closed off to the conversation. Stand tall, with your feet planted. 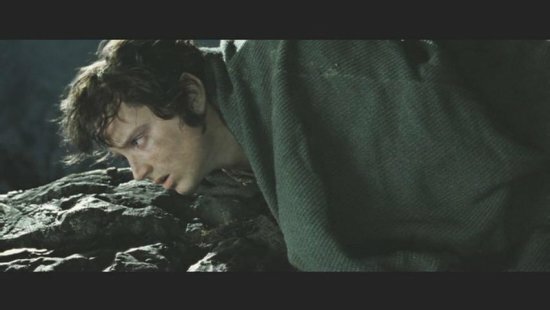 This is a position of power. A great way to build rapport with a person is actually by mirroring their actions. They will not notice you doing this, but what it does is help them feel as if you're both on the same wavelength. If someone is being negative or closed in a conversation, a great way to combat this is to give them something to hold or to get them to walk with you – this forces them to open their stance (and mind) and will usually lead to a friendlier engagement. 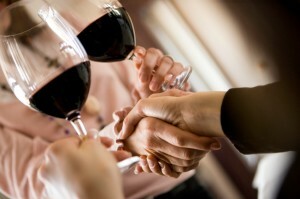 Networking is better with wine ... just ensure your hands aren't too full at that pivotal moment! But if your arms are filled with clipboards and brochures and little cocktail quiches, how are you going to shake hands or accept business cards? Filling your hands with things when you want to be networking could result in many awkward moments as you jostle everything around. You're more likely to drop something, which could be unfortunate if that's red wine on the carpet or wasabi paste on your white shirt. During networking opportunities at conferences like Xerocon I try to keep at least my right-hand free at all times, to perform any needed dextrous works. 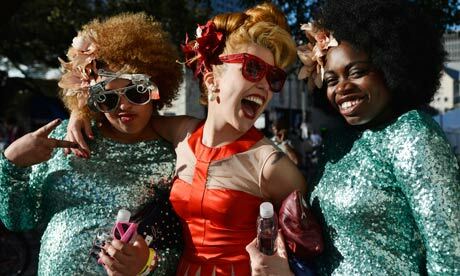 Attendees at SXSW - you don't have to go QUITE this crazy! On the Times Strategy blog, Tim Tyrell-Smith talks about a recent SXSW conference, where an attendee brought along volleyball and a sharpie. That attendee went around everyone attending a panel and got them to sign the volleyball. That guy got to meet – and be remembered by – everyone in the room. And he also helped to create a memorable experience that fostered a sense of fun at the event. You better believe people remembered "the guy with the volleyball". Everyone paid more attention to what he said, remembered their conversations with him, and could remember his name and his business. That's exactly what you want. Now, I'm not saying you need to dig out an old volleyball, but think about something you could do for or during Xerocon that's a little bit out-of-the-ordinary. If it's something that will get people talking and it fits with your personality, then what have you got to lose? Wear a silly t-shirt. You could get people to sign it. Run a raffle for coffee or chocolate. Give the donations to a local charity. Enter everyone you meet into a free draw for a gift card or bottle of wine. Make a word-find out of words related to your business to give out. I'm sure you can think up some fun ideas of your own. 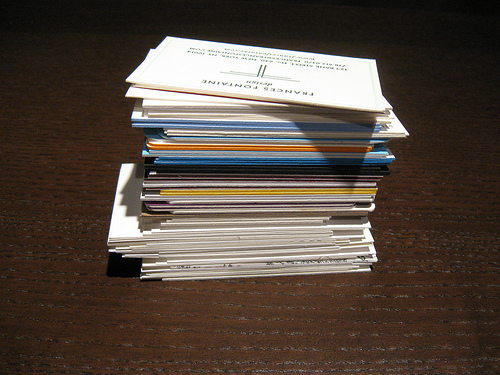 What will you do with all those business cards? You will come out of a day at Xerocon with pockets stuffed full of business cards. But unfortunately, if you don't remember the person associated with each card, those cards then become useless. One trick I use is to take a person's business card after I've spoken to them, and quickly jot down some notes about what we've talked about or how we can help each other, directly on the card itself. This way, when I go back through my bag at the end of the conference to follow up on all the relationships I've built; I can use these notes as clues to help me remember what we talked about. This makes my post-conference follow-up quick and simple and personalised. Have a blast at Xerocon! Last, but not least, don't worry too much about how much networking you're doing or whether things are going according to your plan. Xerocon is a great experience, where people at the top of the accounting / bookkeeping industry come together to learn from each other and share ideas. There are lots of great moments and fun events, so get involved, smile, and enjoy yourself! Xerocon is a fantastic event for accountants and bookkeepers and we hope you get as much out of it as possible. 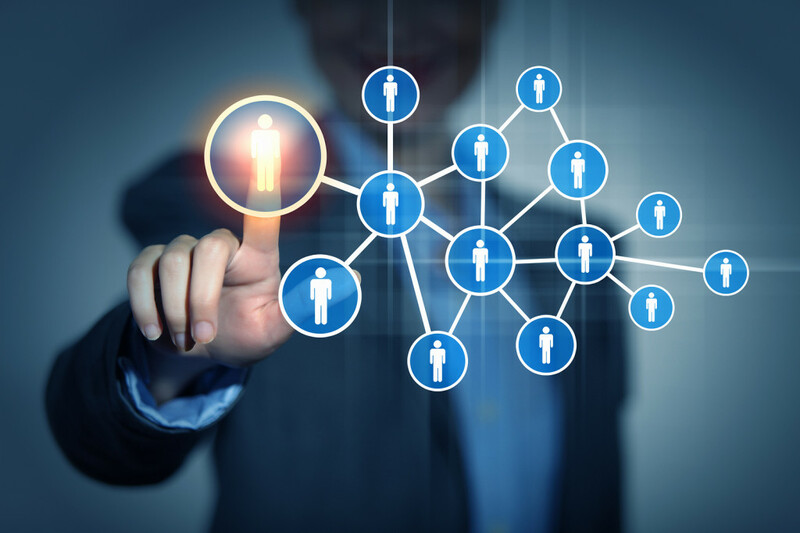 Try some of these networking techniques and see what results you get. And while you're there, don't forget to stop by and say hi to the WorkflowMax team!